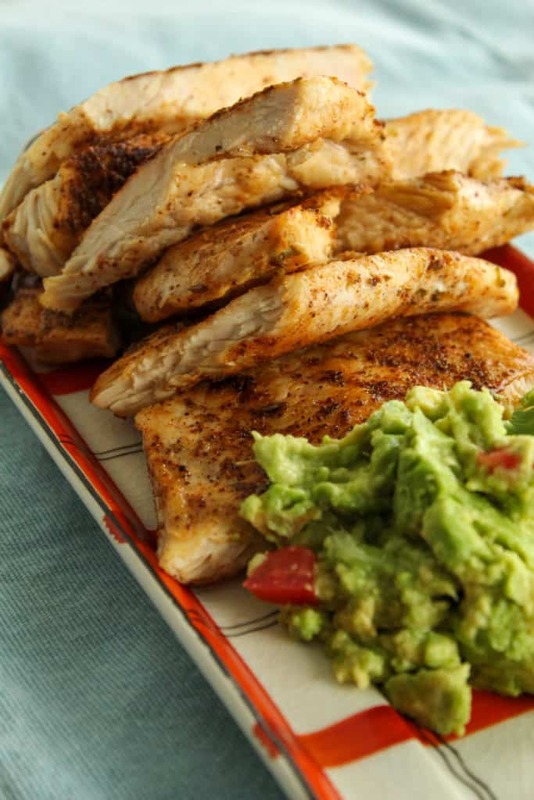 This delicious chicken taco recipe is perfect for any Taco Tuesday and Cinco de Mayo! Scroll down for a versatile taco chicken recipe that can even be tossed with pasta! I cook chicken several times week and some of our favorite recipes is jalapeno popper stuffed chicken, the everything chicken and more recently I started making this taco chicken recipe.Taco chicken is traditionally served with taco shells or tortillas but they’re actually great for a low carb diet as well! 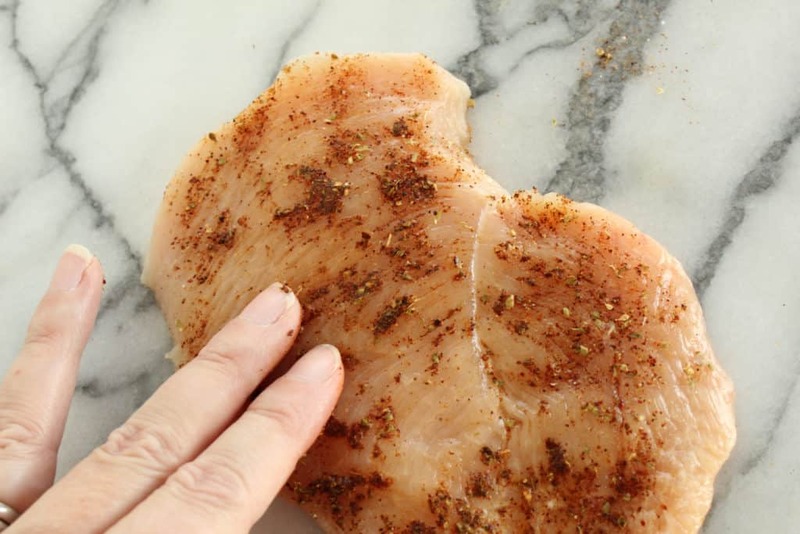 Buying thin-sliced chicken breasts is the key to making this a superfast recipe. They cook really fast! 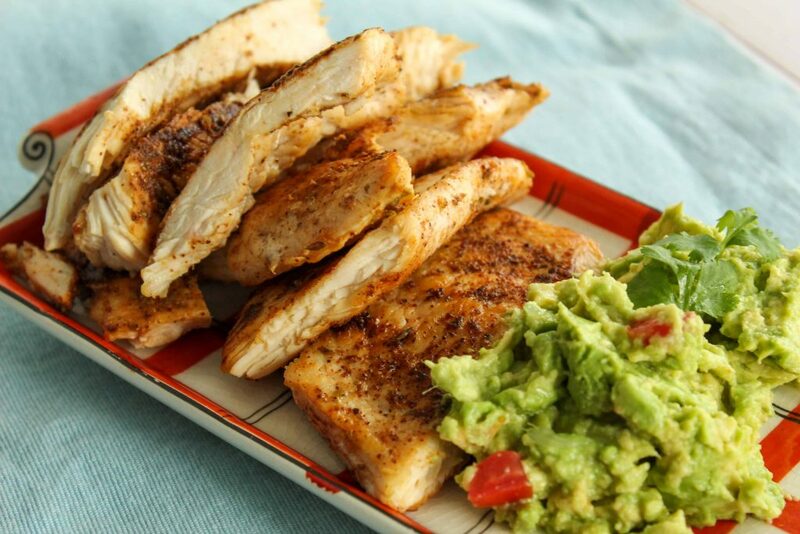 The dry rub makes enough for a whole package of chicken, but for tacos you may not need to cook the whole package. 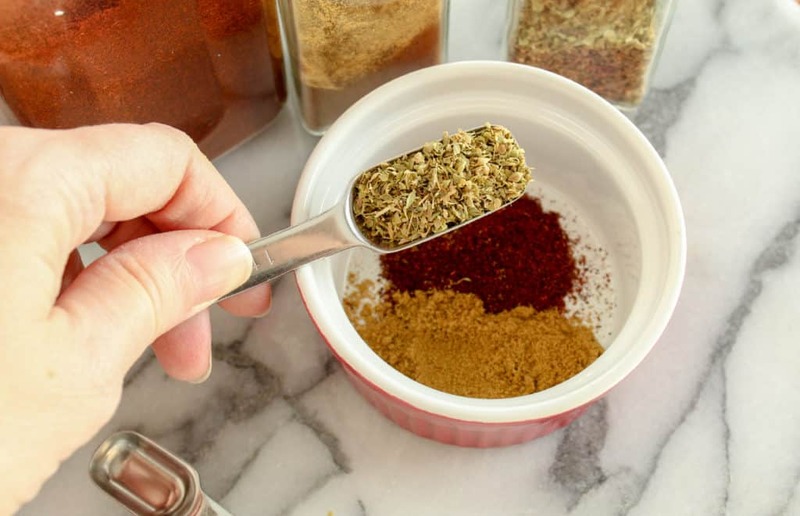 Never fear, you can pour half the unused spice mix into a Ziploc to save for next week. These come out spicy enough to stand up to tortillas with lots of toppings, but tastes just as good without that extra kick of spice! There have been times where I’ve made one batch of chicken and left out the cayenne for the kids. 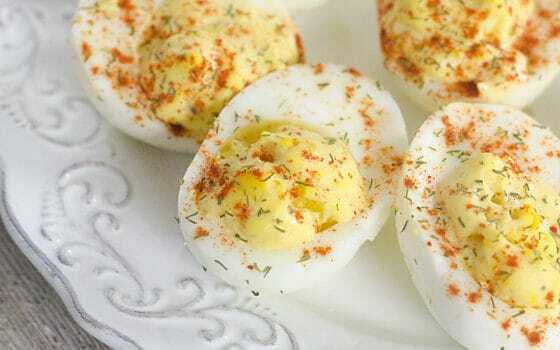 This is also a great idea if you plan to serve these for any Cinco de Mayo festivities. 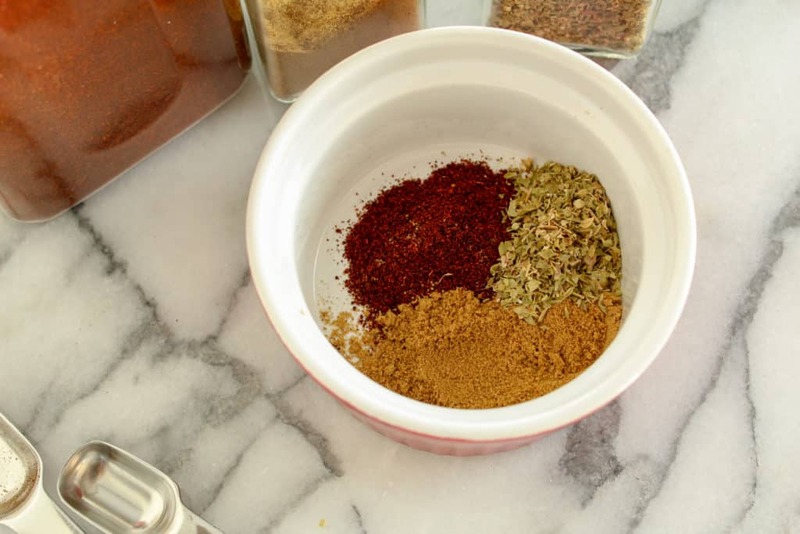 Mix all the spices together in a small prep bowl. 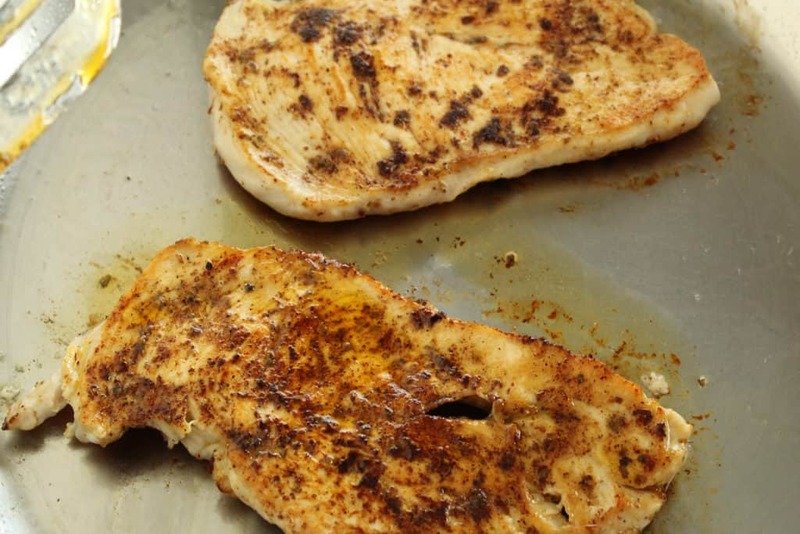 Rub the spices on both sides of each chicken breast. 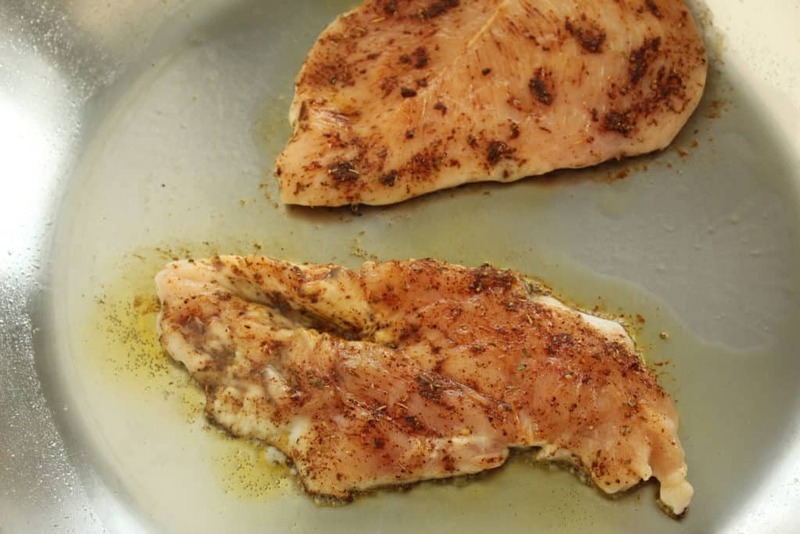 Heat the oil in a large frying pan. When it’s good and hot, add the chicken. Cook about 3 minutes per side. 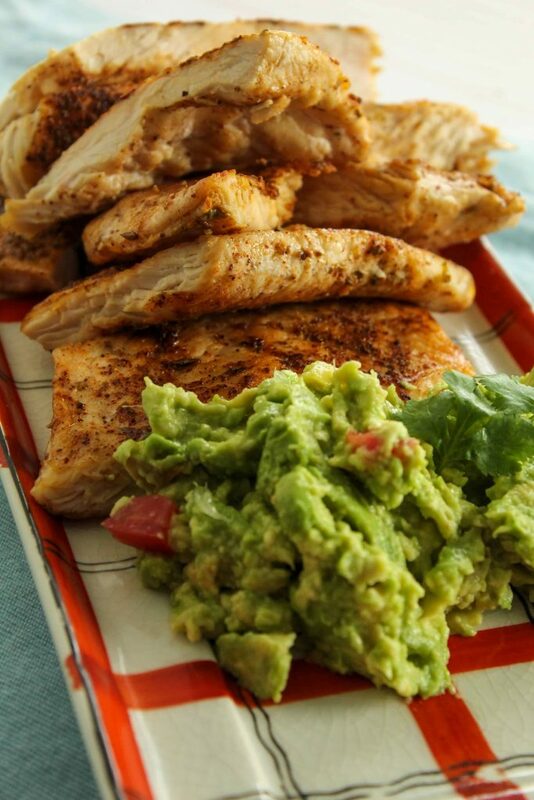 Serve with your favorite taco sides, such as avocado/guacamole, salsa, tomatoes, lettuce, sour cream, cilantro, corn, etc. along with your favorite type of tortillas. Once cooked, allow taco chicken to cool down and place securely in freezer bag. **Good for 1-3 months and perfect for meal planning, salads and even sandwiches! Pin this easy and delicious recipe for later! Don’t forget to follow me on Pinterest where I share more recipes that are perfect for Cinco de mayo! 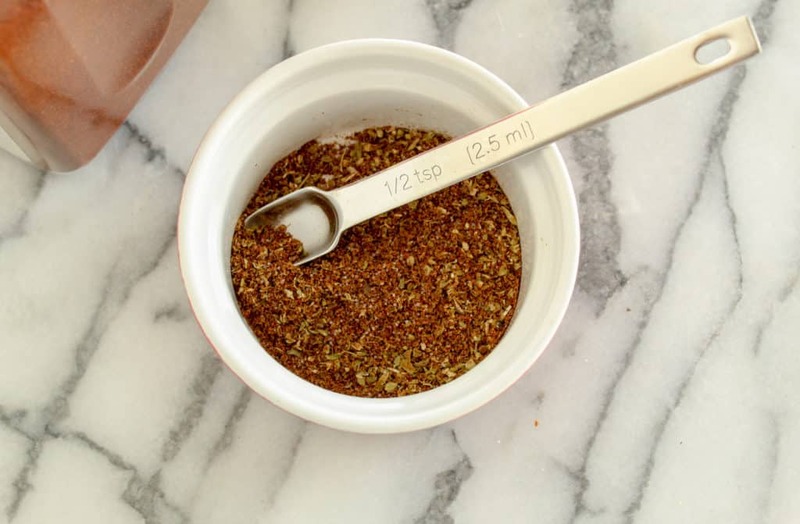 Tip: the taco seasoning recipe seen above is also great to make sheet pan fajitas! 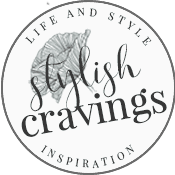 Click here to follow me on Pinterest where I share tons of yummy recipes from around the web!